We may be waiting a long time for the next big Deus Ex game. The developers of the iconic franchise have moved on to other big franchises, according to sources speaking both to Kotaku and other outlets. Sources say Eidos Montreal has cancelled a planned sequel to Deus Ex: Mankind Divided, which came out last year. Eidos Montreal, a Square Enix-owned Canadian studio best known for developing Deus Ex: Human Revolution and the recently released Mankind Divided, is now working on two major games. One of those games is Shadow of the Tomb Raider, as we confirmed a few months ago after the name leaked on a subway. 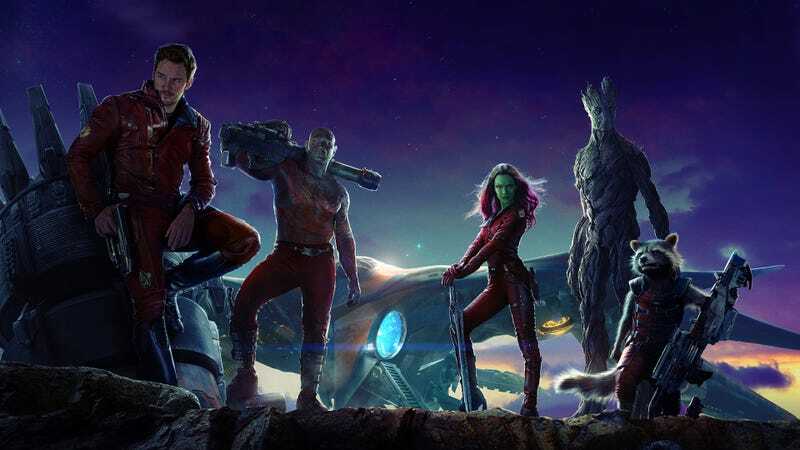 The other, sources say, is a game based on Marvel’s Guardians of the Galaxy. That’ll be the second entry in Square Enix’s new partnership with Marvel, which the two companies announced last Thursday. Eidos Montreal is also helping out on The Avengers, which is helmed by Crystal Dynamics. From what we hear, Square Enix doesn’t plan to greenlight another Deus Ex game at Eidos Montreal for quite some time, unless Mankind Divided suddenly becomes more profitable. Mankind Divided was a large investment for the Japanese publisher, taking nearly five years to make. The good folks at Eurogamer first reported this news earlier this morning, which we can confirm, since I’d heard much of the same from separate sources last week. While we are still working on expanding the Deus Ex Universe, along with creating new content and updates for Deus Ex: Mankind Divided, we’re also devoting our talents towards working with Crystal Dynamics and Marvel on The Avengers project.